Comice is widely considered to have the best flavour of any pear. It has both the characteristic "melting" flesh of the highest quality pear varieties, along with a sweet richness and delicacy which others can't quite attain. Although originating from France it was well-known in England by the late 19th century and the Victorian author Robert Hogg records several letters from fellow enthusiasts praising its "surpassing flavour". 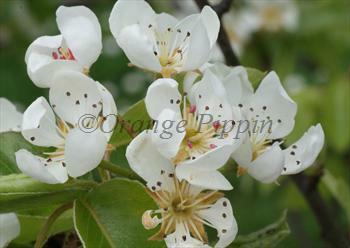 Please fill in the details below and we will let you know when Doyenne du Comice pear trees are back in stock. Doyenne du Comice is in flowering group 4. Doyenne du Comice is self-sterile and needs to be pollinated by another tree of a different variety nearby. As befits such a refined pear, Doyenne du Comice needs to be grown in a sheltered south-facing situation, and it does best in the drier climate of the south or east side of the UK. Espalier or fan-training against a south-facing wall is the ideal. The other important consideration with Comice is that it needs a reliable pollination partner nearby, as the shape of its flowers makes it difficult for successful pollination to occur. Conference is a good choice as it is a naturally good pollinator, as are Gorham or Williams or Beth - the latter works well with Doyenne du Comice because they have separate fruiting seasons. As with all pears, it is important to get the time of picking right. Unlike apples, which are usually best if left to ripen on the tree, pears should be picked under-ripe and then ripened indoors (or in a fridge). In the UK Doyenne du Comice is generally ready to pick in early to mid October. 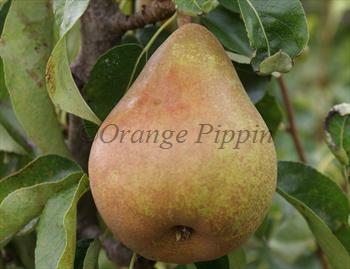 Inspite of its somewhat fussy requirements, Comice is quite resistant to fireblight, one of the main diseases of pears. Raised in the garden of the Comice Horticole, in the town of Angers in the Loire valley, France, during the mid-19th century.